Inspiration is actually something that my tumblr is supposed to focus around, and yet I can’t help mentioning this. You see, I think that one of my weakness is setting. Well, I know it’s setting. And the one way I am working on it is by looking at pictures from various communities of abandoned buildings. I credit these communities for showing me the power of setting. A picture often times tells its own story (though it helps when the poster knows something about the place they’re taking pictures of). But if truth be told, I don’t just get the power of setting from pictures on these online communities. The best inspiration comes from my own home. I live very close to what used to be Fort Ord. It was closed down in the early 90’s. What is fascinating to me, and what I think has seeped into my brain, is the re-purposing of the entire site by the local community. In place now there is a university which is slowly growing. I went there, taking classes out of old military buildings made of concrete. Building has started as the school has grown which means older buildings are starting to get torn down. Not all though. Students living in the new North Quad, I believe it’s called, have abandoned buildings with broken windows just across the street from their new, state of the art buildings. My goal right now is to try and preserve pictures of these locations. 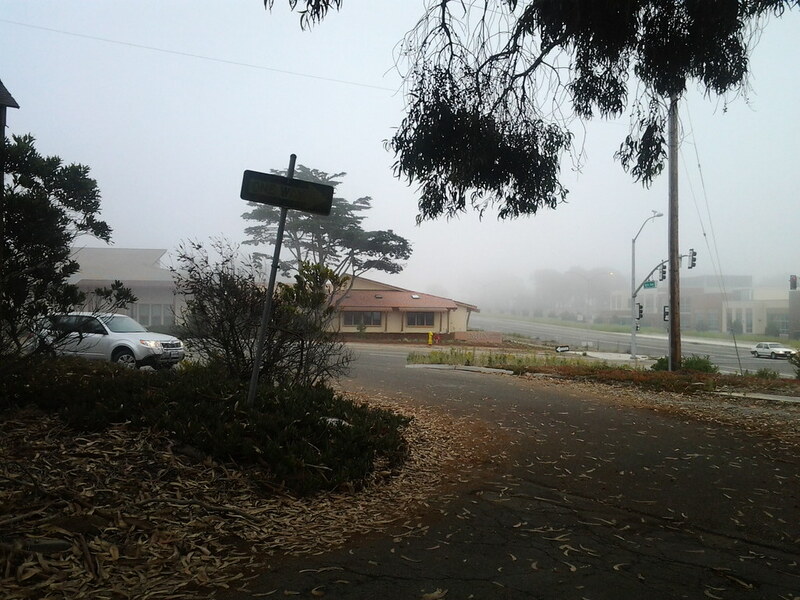 It’s easy to drive through old Fort Ord and suddenly go from new buildings and well maintained roads to suddenly overgrown roads and creepy abandoned buildings just by turning up the wrong street. This is the setting and inspiration for the world in Ruin. Clicking on the picture will take you to the Flikr set of the pictures I took yesterday. Fog was creeping in, and I thought it was the perfect opportunity to get some memorable pictures. In case anyone else is wondering, the other communities I stalk are Urban Decay and Abandoned Places, both on Live Journal. Enjoy!